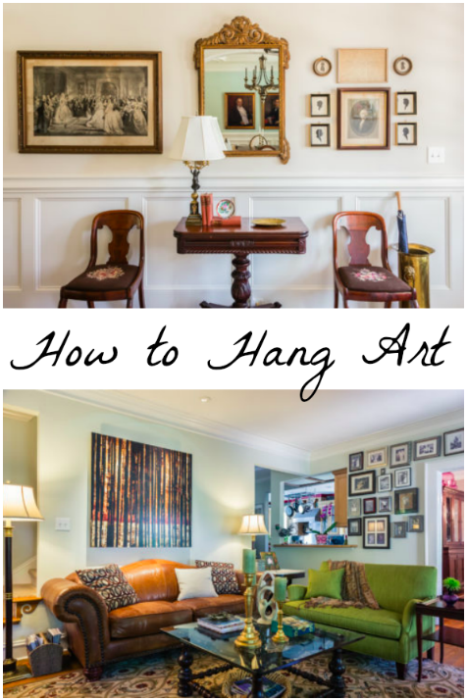 How to hang art is easier than it sounds. We love to do it for our clients as a finishing touch to design projects. First of all, let’s think gallery style…think about inspiration when you travel and visit museums. A recent trip to the Reina Sofia Museum in Madrid inspired this composed, tight gallery wall of my travel photos. I blew photos up to various sizes, found a white frame available in the sizes I wanted (8×8, 8×10, and 16×20), and hung them similar to what I’d seen at the museum. Most noteworthy, readymade frames + my photos = cheap art! I love this variation of the gallery wall referenced above because it allows for growth and can be added to over the years. 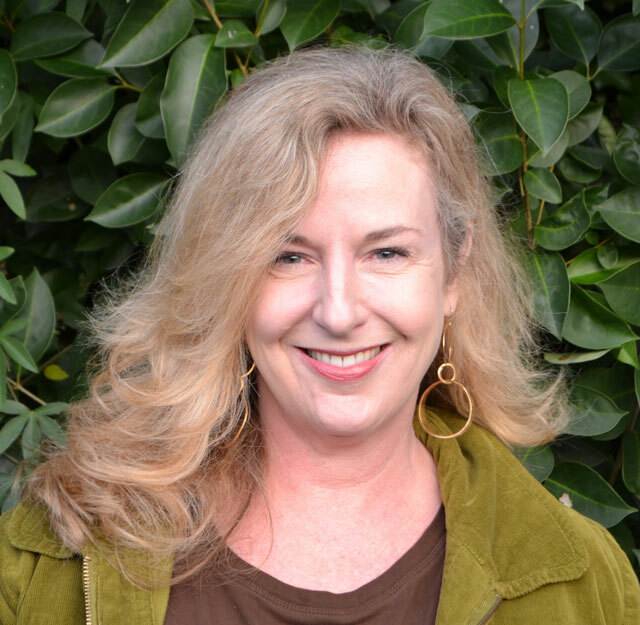 Consequently, I don’t measure as carefully, usually eyeball the placement and allow for wider spacing. My “woman” wall exhibits gender specific art, varies with style, includes dimensional art, and evolves over time. 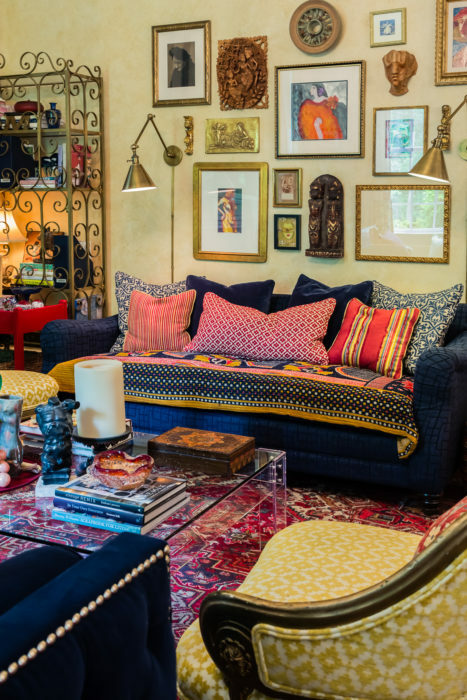 It displays a colorful mix, representing meaningful pieces from friends and travel. 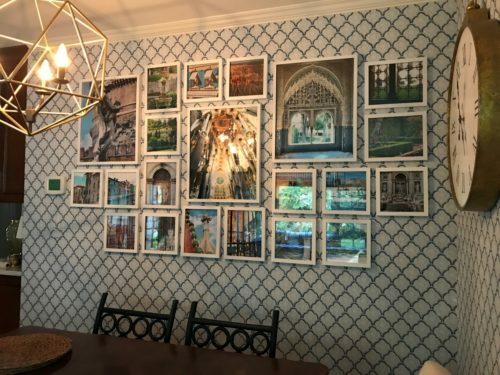 Read here for more gallery wall tips. Sometimes you need to draw attention to one fabulous, important piece. Make sure the wall is well-scaled to the art and let the piece play center stage. This is especially relevant in this living room where a family photo wall already exists. 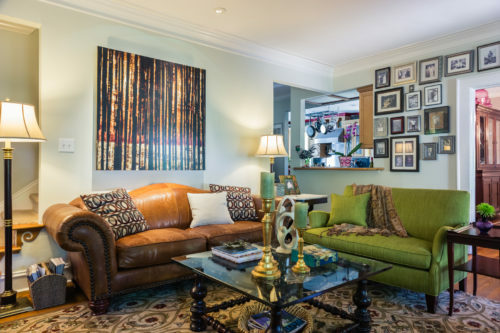 The singular large piece over the client’s sofa gives the eye a chance to rest after stimulation by multiple pieces on an adjacent wall. The Thomas Sayre piece draws attention with small scale eyeball lights setting it off. We gave it prominence, placing the Sayre so it’s the first thing you see when you walk in the front door. Generally the rule of thumb is to place art at eye level (somewhere around 5 feet). It’s considered ideal viewing when you aren’t straining to look up too high. In a room where you are mostly sitting (dining room and living room), the art can be cheated even a little lower. 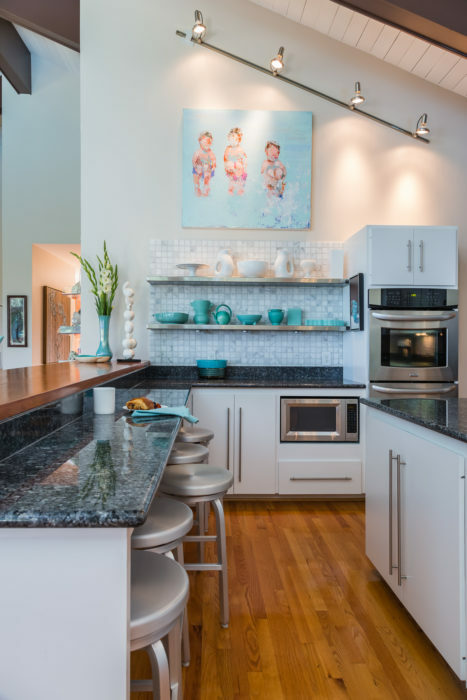 In the photo below, soaring ceilings in a kitchen where folks mostly stand allowed for placement higher than normal. Finally, we love matched sets, but sometimes we don’t inherit an exact set or we collect similar subject matters that aren’t a match. Why not take the opportunity to place them in an equally weighted group that suggests a set even though they don’t all match? 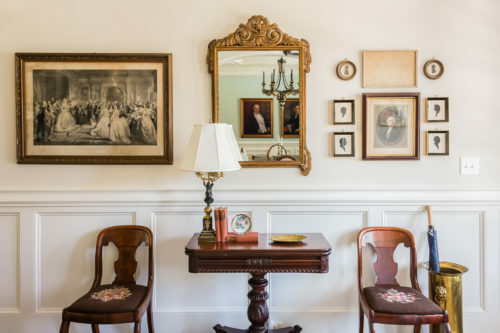 This client’s collection of inherited etchings and silhouettes form an asymmetrical grouping on either side of the mirror. Most importantly, when hanging art remember there are no rules per se. 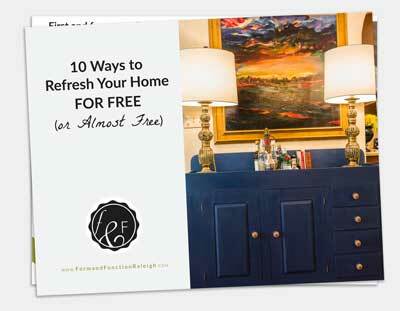 Go with your gut, vary the composition as you go, and place collections together for ultimate visual impact. Let your overall collection evolve as you gather pieces during your lifetime. The art in your home should be the ultimate reflection of who you are and where you’ve been. Have fun with it! This is really lovely. I liked how to hang art. Thanks for sharing this post.